Last night after youth group was over, I found a tiny frog hopping in the parking lot, so I curiously picked it up and it peed its entire body weight all over my hand. I couldn't make this stuff up. 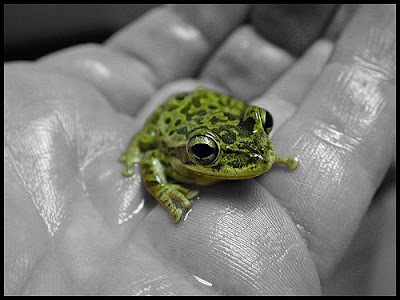 In defense of the frog, would you not do the same thing if some giant creature picked you up in its large hand?